This collecting game, similar to Counties of England, was published in two series: the first series featuring Western Europe and the second series Eastern/Southern Europe. The city cards are beautifully illustrated with coloured engravings, whilst the Key cards depict national flags. 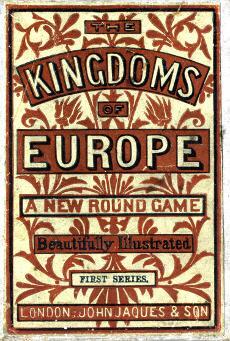 Left: the front of the box from the 1st series, showing a decorative pattern with the text "A New Round Game, Beautifully Illustrated". Europe experienced a period of unprecedented rapid expansion around the globe during the last third of the nineteenth century. European nation-states had become very powerful because of industrialization and the organizational efficiency of the nation-state, which led to easy dominance of non-European areas of the world. 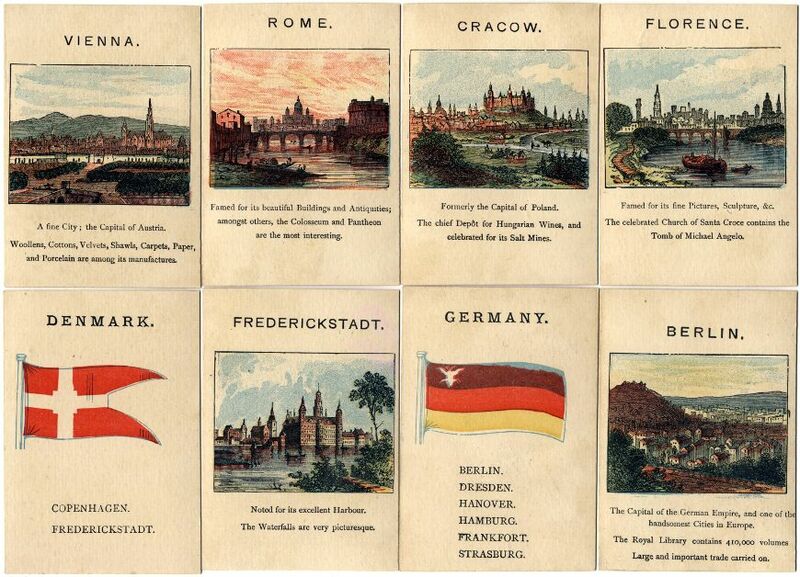 This Victorian family card game captures a snap-shot of European nations from this time. 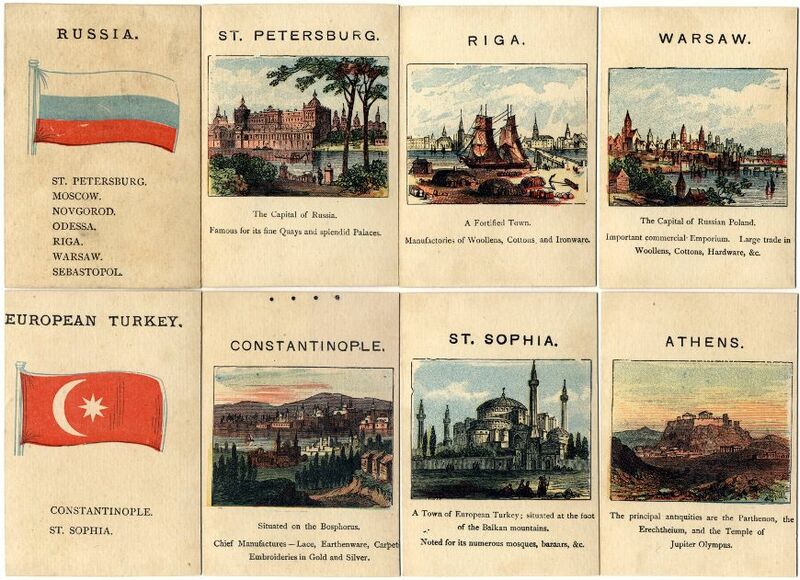 Above: 16 cards from the second series of John Jaques & Son's Kingdoms of Europe card game, c.1885, 45 cards in telescopic box, featuring cities from Eastern and Southern Europe during the late 19th century... magnificently depicted at a time of powerful dominance, from the time of the inauguration of the Eiffel Tower in Paris and the revival of the Olympic Games in Athens. The cards have square corners and plain coloured backs.